THE ULTIMATE FINISH! NO JOB TOO BIG OR TOO SMALL! All work carried out in house at our Manchester Facility. We have recently enhanced our workshop with a 7 metres x 4 metres x 3 metres high, powder coating booth to enable even larger items to be powder coated or wet paint coated. Not only do we carry out Powder coating on the products, and wet paint finishes on all types of steel products. 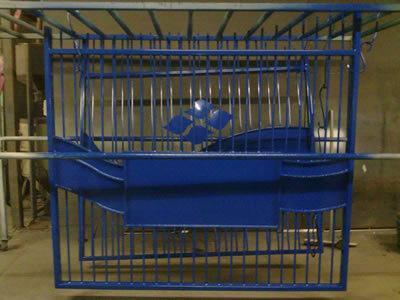 We now have the facilities to offer powder coating service to customers, from one off's to multiple items, i.e. 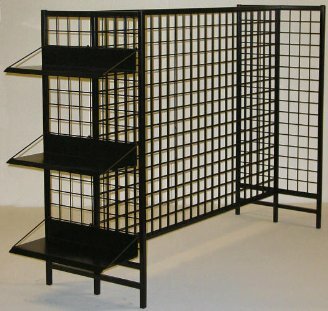 gates, steel railing, wire products, sheet metal products. 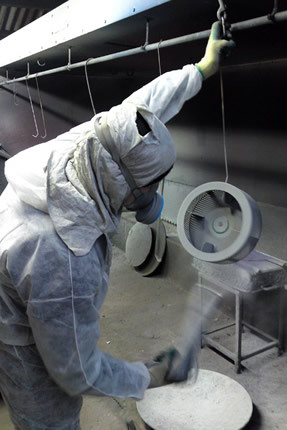 Spraying is done either manually for one of items or for multiple product can be powder coated on our track ovens facility. Our ovens vary in size, our largest oven measures 8 metres x 4 metres x 3 metres high.